In their new music video for the hymn “Be Still My Soul,” the American Heritage Lyceum Philharmonic shows hows things that are broken do not necessarily have to stay that way and can be made new again. 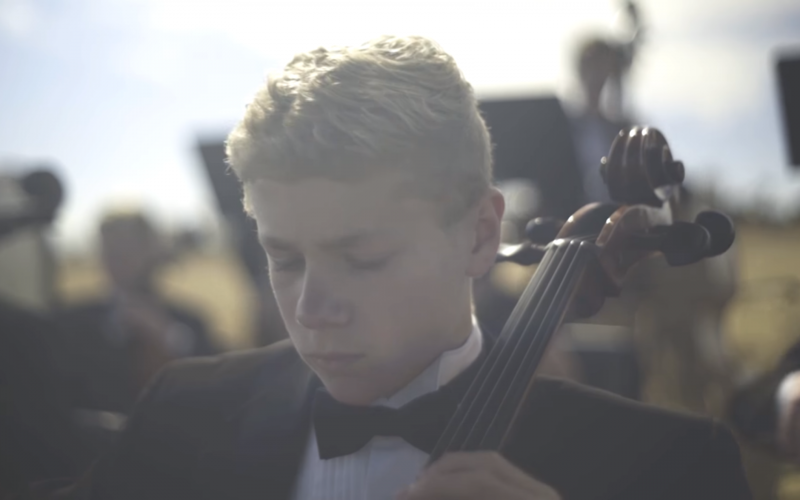 A young man is saddened when his cello becomes damaged. He takes it to a luthier to be repaired, even though it looks to him like it is beyond any help – even from an expert. But after carefully assessing the instrument, the master of the shop carefully and meticulously starts to fix the cello. He doesn’t rush the process and takes his time to ensure that the instrument gets all the tender care it needs in order to become fully functioning again. When the young man sees the cello again, his face lights up when he realizes that he will be able to make music once again. In the same way that the master repairman was able to fix the cello that seemed beyond repair, Christ is the master in our lives who is able to create something beautiful out of what may seem unworthy of His time. His love and care can create even the smallest lump of clay into a beautifully sculpted work of art. There are times in each of our lives where we may feel as if we are the cello; something that is broken beyond repair. But if we turn our lives over to Christ, we will be amazed at what the touch of the master’s hand can do and how He can mend our lives.